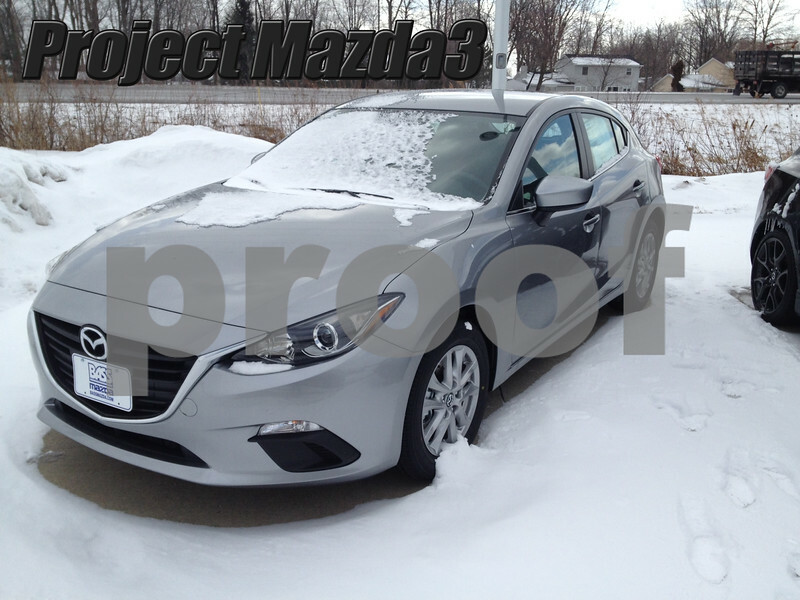 Project Mazda3: Part 1 – This Is The Droid We’re Looking For. You know that perfect dreamworld where you’re dating a super model and Patrick Dempsey asks you how you make your hair look so cool? It doesn’t exist. In our heads, we should all be driving and making each and every highway on-ramp a text book example of a four-wheel drift. But that’s not how the ball bounces all the time with life and we need to roll with it. 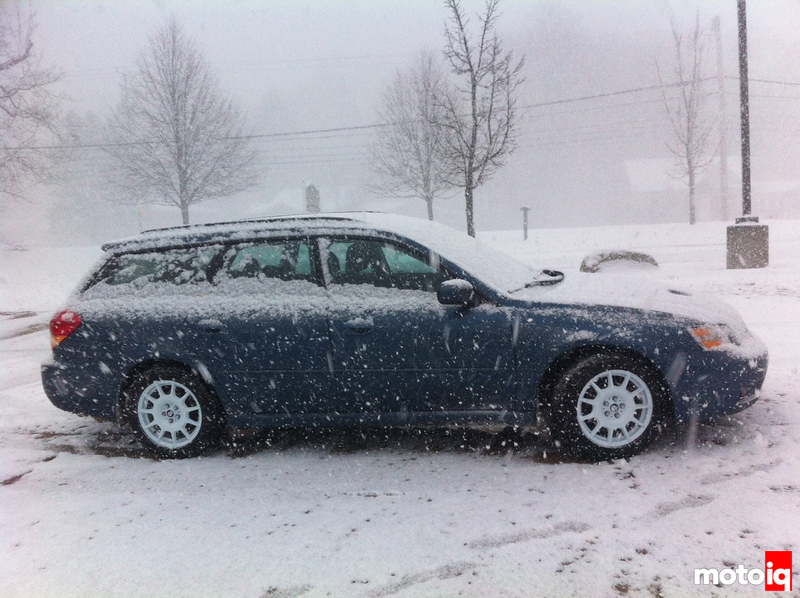 Last February, I came to the conclusion that my daily driver, a 2005 Subaru Legacy, wasn’t in the best of health. I purchased it as a winter beater for Cleveland's notoriously bad traffic—but apparently it was a little too beat. At 85,000 miles, it was showing signs of at least one soft headgasket and it started to make sense to kick it on down the road. I drive about 100 miles a day to and from work and as the sole breadwinner in a family of five, thoughts of trying to nurse a crappy car through my daily slog wasn’t sounding so great. It was time to start looking at a new reliable transportation appliance. The Subaru was an excellent winter beater, but starting to have issues. 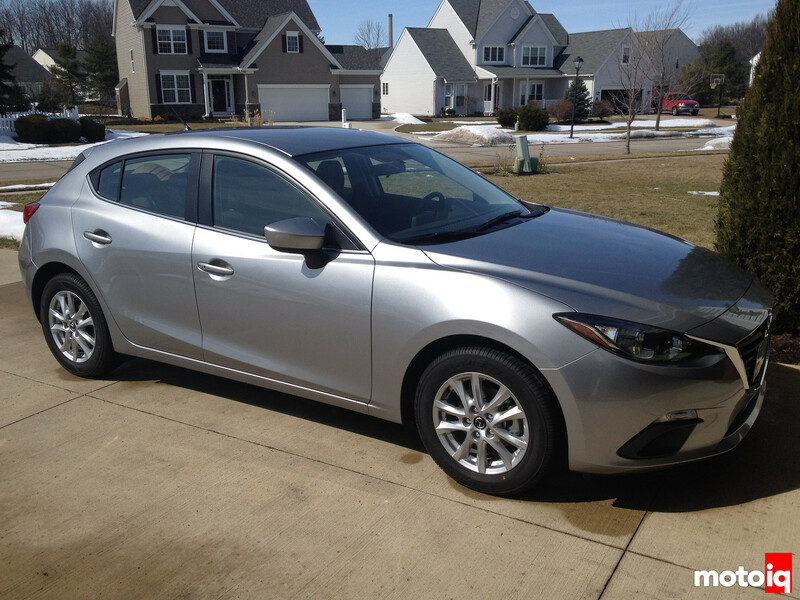 As readers of my GarageLove column might recall, I settled on the just-released 2014 Mazda3. The combination of utility, probable reliability, mileage and frisky attitude made the 3 stand out from the rest. For 2014, only the smaller 155hp 2.0-liter versions were available with the six-speed manual transmission, so that's what I went with. The 184hp 2.5-liter came with an automatic only, as well as a lot more optional equipment, including a standard sunroof. While the bigger engine gets the stick for 2015, it is still saddled with 130 or so pounds of extra crap. I’m a firm believer in going for a lighter, less equipped car for autocross use and commuter use. Cheaper too. One of the downsides of my commute is that the Mazda3 rarely looks this clean. The one I chose was the Touring model—it’s got a few extras like alloy wheels and blind-spot monitoring, but otherwise, it’s a basic transportation appliance that fits my needs. Within a week or so of owning it, I found a few sets of older Mazda3 wheels in the stock 16×6.5 size that I could use for snow tires and autocross rubber. Since purchasing it eleven months ago in late February 2014, I’ve amassed over 24000 miles on the odometer. It’s delivered an average of 36mpg during that time for my traffic-laden commute and aside from oil changes and some windshield washer fluid, it hasn’t needed anything more than a fill-up of 87-octane gas every four days. 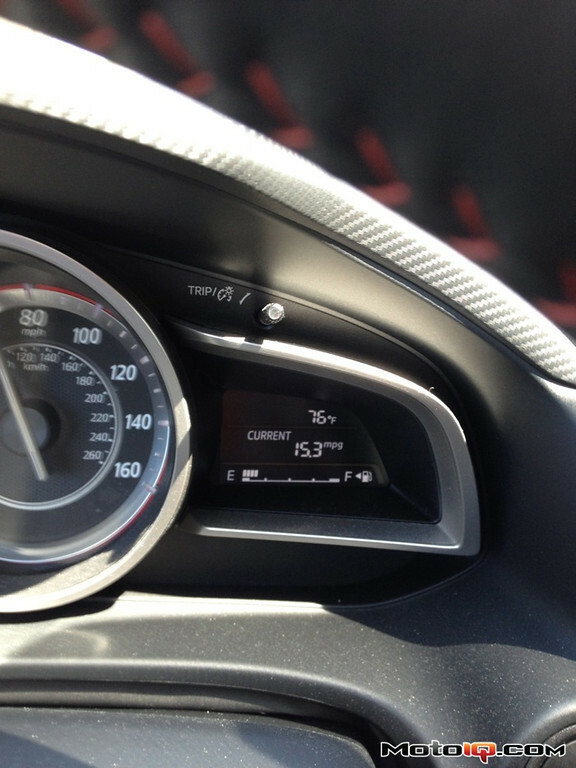 Even at full throttle, this thing still gets okay mileage–our average is 36mpg with a stop-n-go commute.